Howard E. Slater, 92, of 355 Cherrytree Rd. 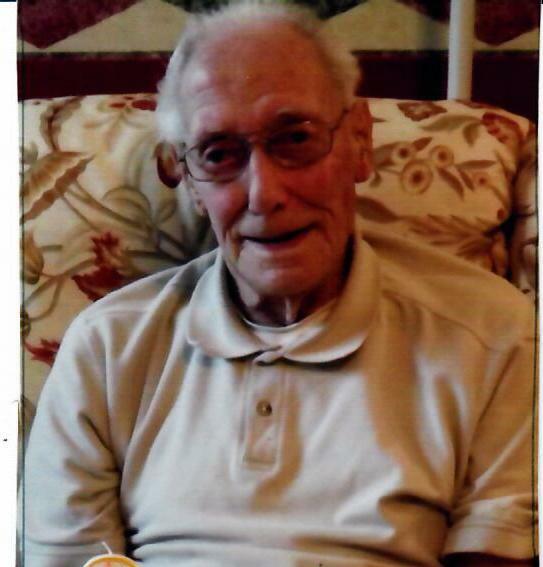 Franklin, PA. , died at 8:15 A.M. Tuesday March 26, 2019 at Oakwood Heights in Oil City after an extended illness. Born Sept. 16, 1926 in Oil City, PA. , he was the son of the late Frank & Inez Beecher Slater. He was married on Dec. 31, 1949 to the former Elizabeth J. Clyde and she survives. They would have celebrated 70 years of marriage together this year. Howard had worked in the shipping department at Wolf's Head Refinery. Mr. Slater enjoyed auto racing, and used to race at Tri City with his father and his brother. Howard also enjoyed riding motorcycle with his sons. He was a member of the Oil City Cycle Club in younger years. He and his wife enjoyed camping at KOA Campground in Knox and had wintered in Florida for many years, where he enjoyed golf. In addition to his wife, he is survived by five children and their spouses. many grandchildren and great grandchildren also survive. Private viewing and Funeral Services will take place in the Reinsel Funeral Home with Rev. Mark Rusnak, Asera Care Chaplain, Presiding. Interment will be in Grove Hill Cemetery. The Family would like to thank the staff at Oakwood Heights for the love and care that Howard and his family was shown while he resided there.